What can California and its cities do to bring down the soaring costs of housing? Land entitlement, often lengthy and subject to review at several levels, is one process that could be reformed to speed up the construction of new housing and, in doing so, reduce costs. Recently, researchers from Berkeley Law joined San Francisco Planning Department staff at a SPUR forum in San Francisco to discuss how state and city reforms might (or might not) streamline the approval processes. Berkeley Law researchers Eric Biber, Moira O’Neill and Giulia Gualco-Nelson summarized their findings so far from a multi-year study of land entitlement in five Bay Area cities: Redwood City, Oakland, Palo Alto, San Jose and San Francisco. San Francisco Planning Department staff members Elizabeth Watty, Jake Bintliff and Lisa Gibson presented several pilot programs they designed to accelerate and simplify building approvals, changes that staff can implement without having to wait for local or state legal reforms. A number of factors influence land use approval in a jurisdiction, which can cause drastically different approval processes among cities in the same region. The Berkeley Law team explained that all jurisdictions in their study used discretionary review, a process that applies an extra layer of local approval for a plan, on top of compliance with the existing planning and zoning code. Jurisdictions can choose different mechanisms to impose discretion, however. In the five cities Berkeley Law studied, these mechanisms include design review, architectural review, general plan compliance and others. This difference can make applications for development across the region more difficult, which can prolong construction timelines and increase the cost of a project. The same goes for environmental review: Policymakers have wondered if the California Environmental Quality Act (CEQA), a state mandate designed to minimize the health and environmental risks of new development, hinders the development of housing projects across the state because review and appeals can prolong the approval process. The Berkeley Law study found that while all cities in the study use CEQA as part of discretionary review processes, the reviews themselves were completed inconsistently. 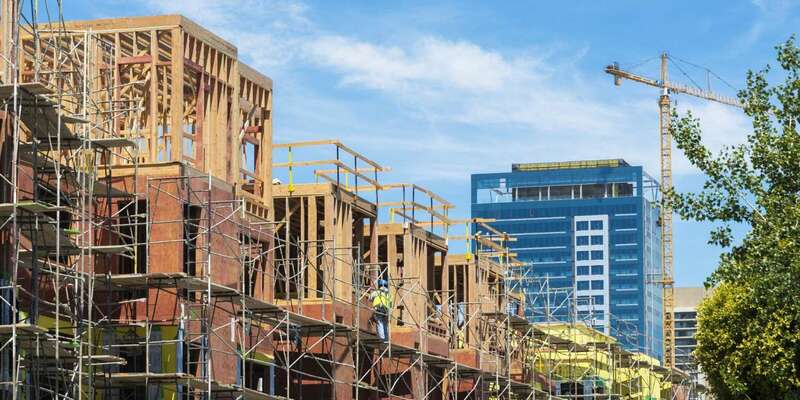 The study found that very few housing developments were subject to CEQA lawsuits (2.5 percent of projects among the jurisdictions, amounting to 5.3 percent of total units), suggesting that CEQA review does not prolong approval timelines. However, representatives from the San Francisco Planning Department noted that although CEQA lawsuits may be uncommon in San Francisco, the threat of a CEQA lawsuit and the compromises that are made to avoid one does in fact hinder development. The Berkeley Law researchers also studied the relationship between the land use approval timeline and the number of units in a project. Their data show that smaller projects (five units or fewer) took the longest time to be approved, suggesting that factors besides scale of a project are at play, and that perhaps the local political context could influence building approvals through discretionary processes. The team explained that cities seek to maintain discretion in their processes so that they can approve development that will bring revenue and infrastructure to the city. The Planning Department explained several modifications to their procedures that can help reduce building approval timelines and decrease overall project costs. Some of these included adding more staff, more collaboration among staff who are conducting different categories of review of the same project, and introducing methods to move projects toward approval without having to wait in line. They also hope to speed up the approval process for in-law or accessory dwelling units (ADUs) and modifications to single family homes and will set up a simplified administrative approval process for affordable housing projects. Jake Bintliff emphasized that even simple tweaks to departmental tasks can save staff time and help important housing projects break ground sooner. Both Berkeley Law and the San Francisco Planning Department shared other ideas that could advance the construction of housing. One promising solution is California Assembly Bill 73, which would allow cities to create housing sustainability districts and receive financial incentives for doing so. Developments within a sustainability district would be automatically granted an initial environmental impact review and ministerial permits within 120 days. A sustainability district must be located within one half mile of public transit and, if established, will receive zoning incentive payments from the California Department of Housing and Community Development. The Berkeley Law panelists emphasized that in order for the state to create effective policy for all jurisdictions, legislators must have better access to data that shows what is actually happening in local land use approvals processes before making sweeping changes to CEQA and other regulations. Berkeley Law will expand its research to Los Angeles, while the City of San Francisco will launch pilot and other preliminary measures within the department to see how they will affect approval timelines. Both groups hope these efforts can inform other cities in modifying their local approval procedures, as well as future statewide policy changes.